Jessica Riggs plays an angel in her school pageant but becomes a real guardian angel when she finds an injured reindeer in the forest. Convinced that the deer is Santa’s very own Prancer, Jessica vows to nurse him back to health and return him safely home. But before she can carry out her plan, Jessica discovers that her father has made another very different plan of his own! Will Jessica be able to help her antlered friend find his way back to Santa in time to make their deliveries on Christmas Eve? 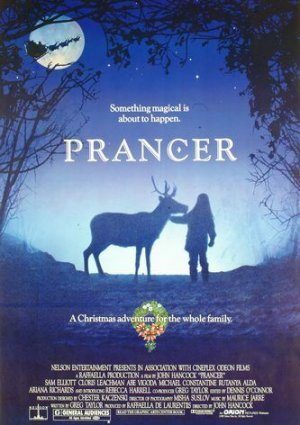 Prancer will air on AMC this year starting December 3rd. Is Prancer or Miracle on 34th Street pairing this 2018 season anywhere? Yes Sid, both will air on AMC this year. When will PRANCER be on again in 2017?